It's even better when the GROMMETS are included. Here you can see the sample tag that still needs to be removed. We all know how to use a seam ripper...right?? Here's the last curtain sample that needs to BECOME something. Falling fabric was caught and transformed. Yeah!! for a good catch! Each sample yielded 2 good sized bags. is the definitely the perfect combination!!! is NOT so perfect though. Aren't these little half square triangles FUN?? They measure about 2"x 2"
and turn them into something SMALL. Whip them up into little zipper bags! Don't even let them LEAVE the cutting mat!!! 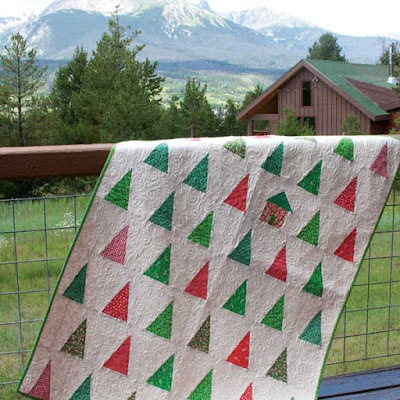 I'm excited to share this quilt with you today. It's included in the most recent McCall's Quick Quilts. 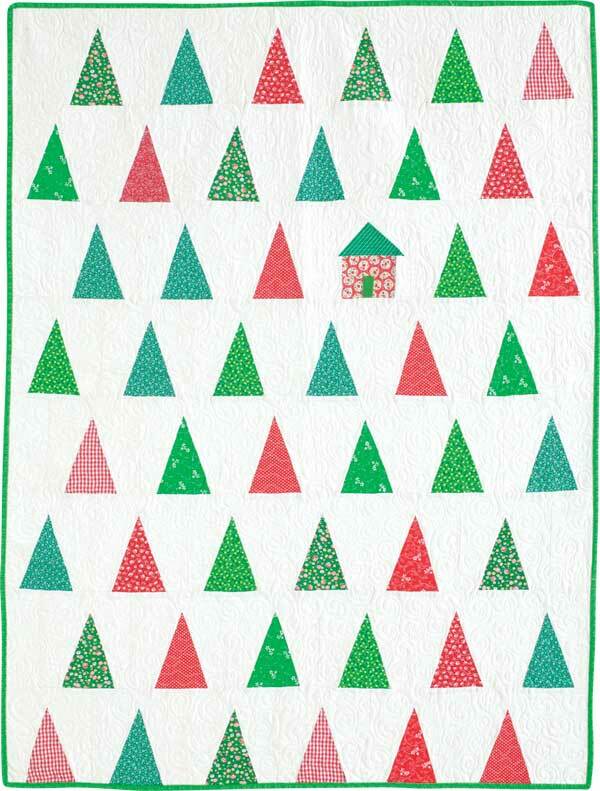 The Christmas trees are made of vintage triangles handed down to me. You all KNOW I love vintage fabric, hand-me-downs...and QUILTS! I quilted it with a nice swirly "SNOW" design. aloud to my own children. the little house in the big woods and really put this image in my mind. and it will be on new stands Oct. 27, 2015. Hope you're able to squeeze some sewing time in!!! 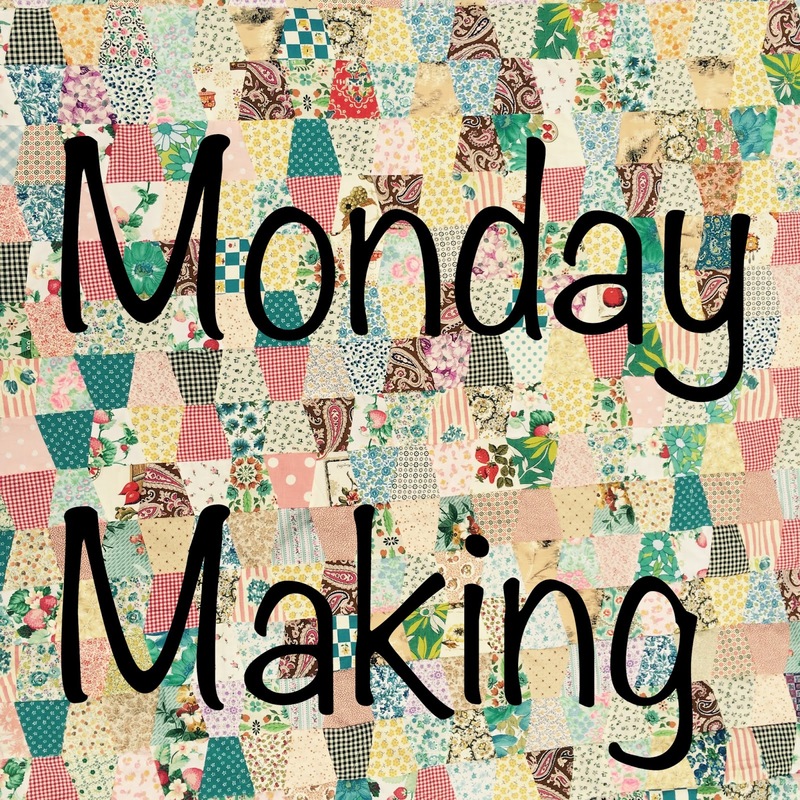 Monday Making is just a FUN place to share. 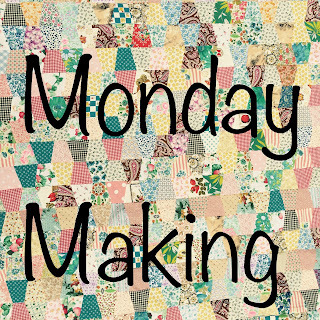 What do you plan to make this week?? Maybe you found a new recipe? I always love hearing about GREAT new easy dinner ideas! I am chain piecing LOTS of little triangles. and then PLAY around with them. I have SOME ideas about what I"ll do with them. At this point.....I have ONLY ideas. It gives me LOTS to think about. 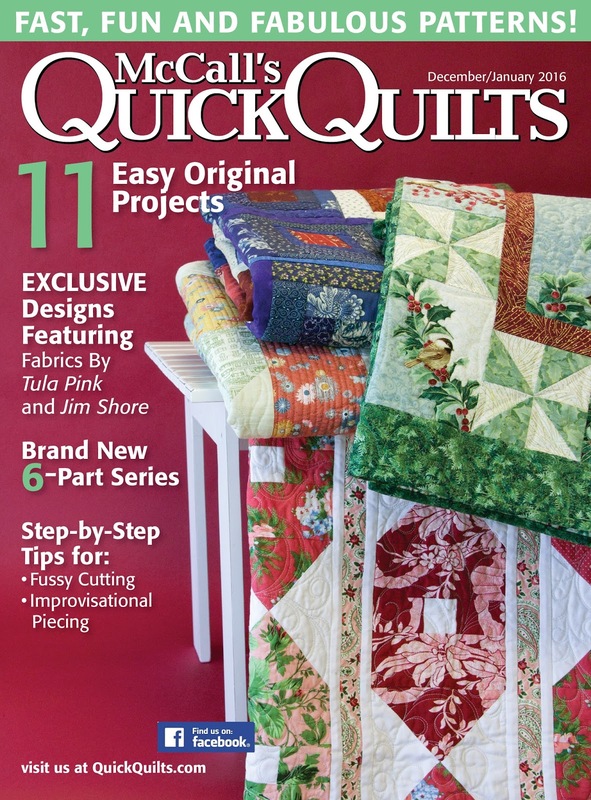 I LIKE thinking about quilts. I have a weakness for little castoff projects. or spied in the thrift store. 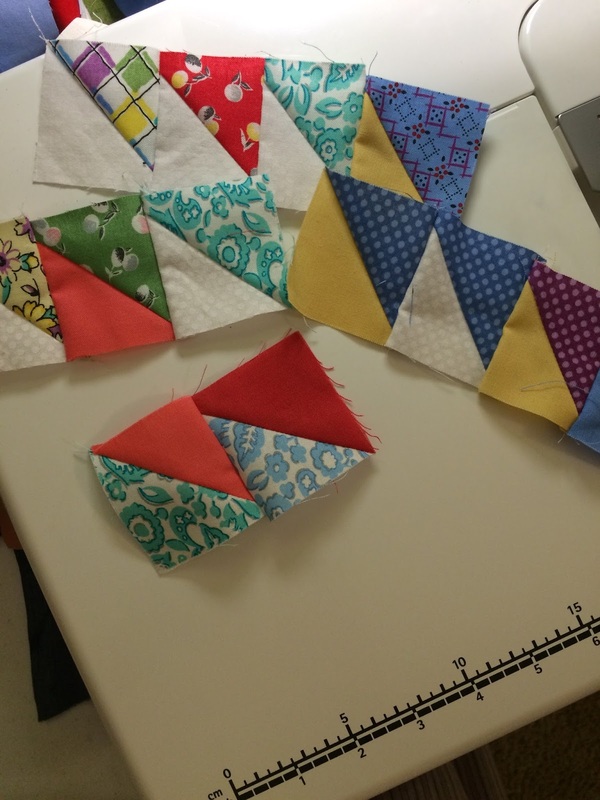 These little UN-finished projects call my name. Their voices scream at me from the shelf!!! They are typically stuffed into old plastic bags. They usually include thread, yarn, and other necessities. This one even came with a NEEDLE!!! 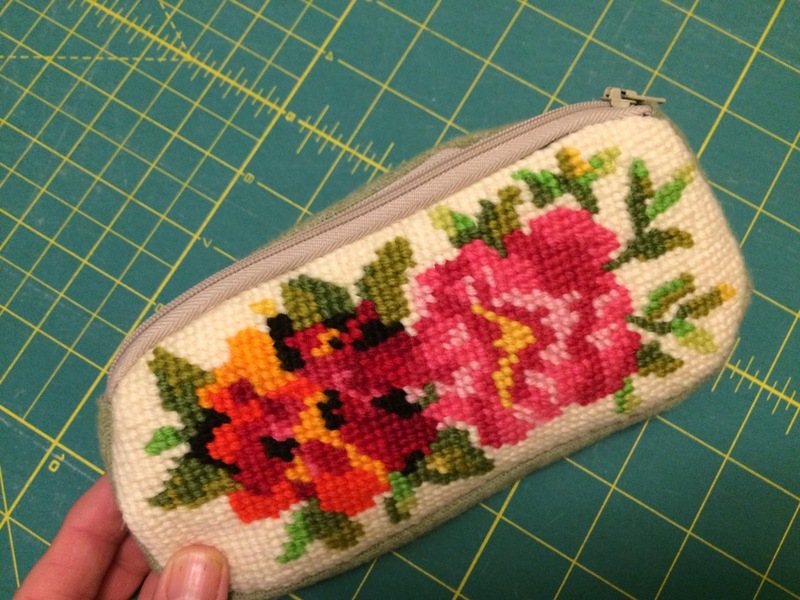 This little project contained TWO of these oval-like needlepoint pieces. There were some GAPS in the needlepoint. Whoever began this one was ALMOST DONE!!!! and during a little netflix watching. but I thought it would make a GREAT little zipper bag! in case THAT's what I use it for. I can make ANOTHER zipper bag!!! Oh the wonder and JOY of little castoffs!!! They always find a HAPPY home at my house. It's always fun to make a gift for someone special. It's JUST as much fun to see them USING IT!!! I made this for my daughter's friend for a recent birthday. I included a bookstore gift card. I got to sew AND encourage reading at the same time!! Maybe you completed something GREAT this weekend!! !